Oriya Wedding and its traditional customs and rituals! Oriya wedding is linked with the state of Orissa. The marriage ceremony and customs bears similarity with the Hindu wedding ceremony but are surely different in many aspects. Oriya wedding is linked with the state of Orissa. The marriage ceremony and customs bears similarity with the Hindu wedding ceremony but are surely different in many aspects. Oriya people are not very showy and believe in simple living. This even reflects from the way their weddings are conducted. But, the exciting fact about an Oriya wedding remains that the mother of the groom does not take part in the ritual. The remaining methods in the marriage event are similar to other Hindu Marriage rituals. The marriage rituals begin with Jayee Anukolo ceremony. It marks the initiation of marriage rituals. This is followed by the distribution of invitation cards. The first card is sent to the family god. The second invitation goes to the bride and groom`s maternal uncle. After Jayee Anukolo, turmeric paste is applied on the bride’s body and given a holy bath, in a ritual called Mangan tradition. In this tradition, generally people bless the bride and then apply turmeric paste on her body one by one. This is followed by the bride’s ceremonial bath. Diya Mangula puja is the subsequent ritual, wherein the bride worships at Devi’s temple and offers bride’s bangles, sari, toe rings and sindoor. Generally the bride’s bangles, toe ring, sindoor and sari are offered by the female barber to the Goddess. Once the groom arrives at the wedding venue with the procession, it is called Barajatri. The bridegroom along with his marriage procession arrives at the wedding venue with pomp and fun. In the Baadua Pani Gadhua tradition, the girl`s side informs the bride that the baraat has come. Thereafter, arrangements are made for her traditional holy bath. This ritual is known as Baadua Pani Gadhua ritual. During the marriage, the bride and the groom are taken to the mandap, where the Kanyadaan ritual is performed. In this ritual, the bride`s father gives his dear daughter`s hand to the bridegroom with the promise that he will take care of her. Next ritual is the Haatha Ghanti custom, wherein the bride and the groom take seven rounds, around the sacred fire, amongst sacred hymns and shlokas. After the marriage ceremony is over, the bride leaves for her marital home. 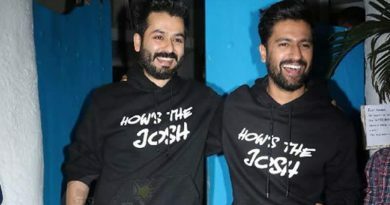 Once the newlywed couple reaches the groom’s place, they are given a warm welcome by his family. When the bride enters her marital home for the first time, it is known as the Grihapravesh. Grihapravesh is followed by the Astha Mangala custom. According to this ritual, the newlywed couple visits the bride’s house, on the eighth day after wedding. Here, they are given a hearty welcome and treated with fabulous food. Even though the Oriya marriage rituals seem to be the same as any other marriage in India, the mantras and other methods to carry out those rituals are diverse in an Oriya Marriage. The typical feature about the wedding is that the mother of the groom cannot take part in the ceremony. At the end of the wedding the guests are offered delicious traditional food. 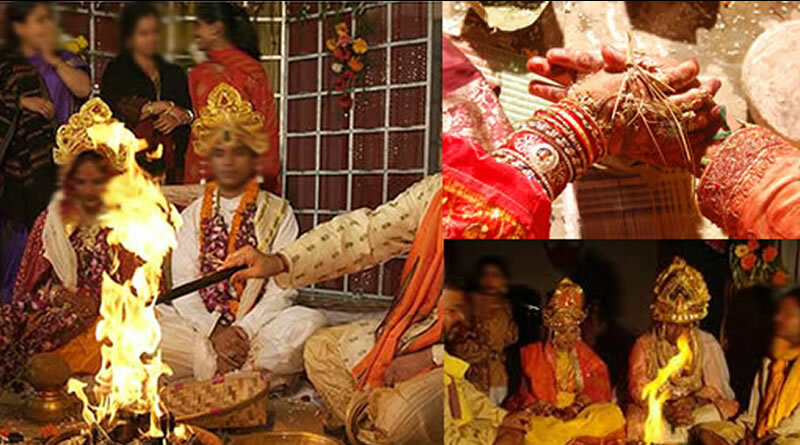 The Oriya marriage rituals are the simplest of all. But that have many parts. The post wedding ritual also comprise of two sub rituals, feast and reception. The marriage feast is a grand event where all the family members and friends eat together with the newlyweds. If you need any help regarding Oriya Wedding ceremony or Oriya Wedding Management, please leave your message about your dates, ideas and budget plans at our Wedding Help Centre. ← Parsi Wedding and its traditional customs and rituals! 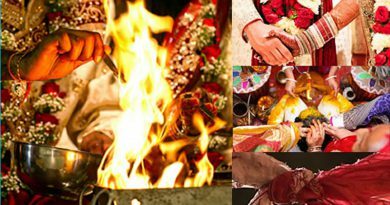 Hindu Wedding and its traditional customs, rituals and values! Malayalee wedding and its traditional customs and rituals! 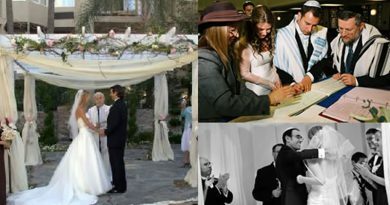 Jewish Wedding and its Traditional Customs and Rituals!